You might be wondering where why the title i gave to my blog post. We had wanted to go to East Ocean Teochew Restaurant for dinner as we used to patronize for their sumptuous spread of cutely decorated dimsums. 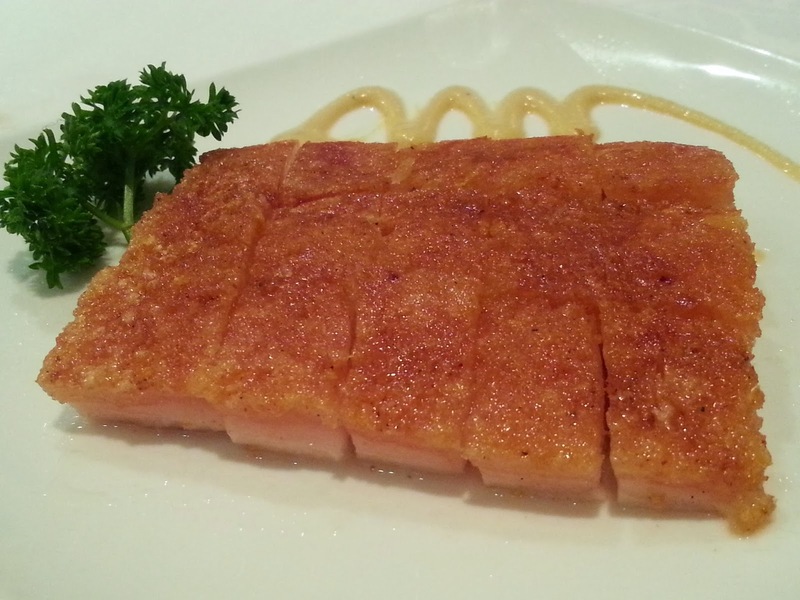 Many of you who have also been there will remember the perpetually packed restaurant with busy waiters buzzing around above a flight of stairs from the Isetan office basement. With such advanced in technology, we found out from Google that the restaurant has shifted to Takashimaya Level 5 where the cluster of restaurants are situated at. The brightly lit and classy restaurant is located beside Seoul Garden ( where Breekz used to be situated). I was bewildered by the spacial design of the restaurant as it was quite a great leap from the old venue. 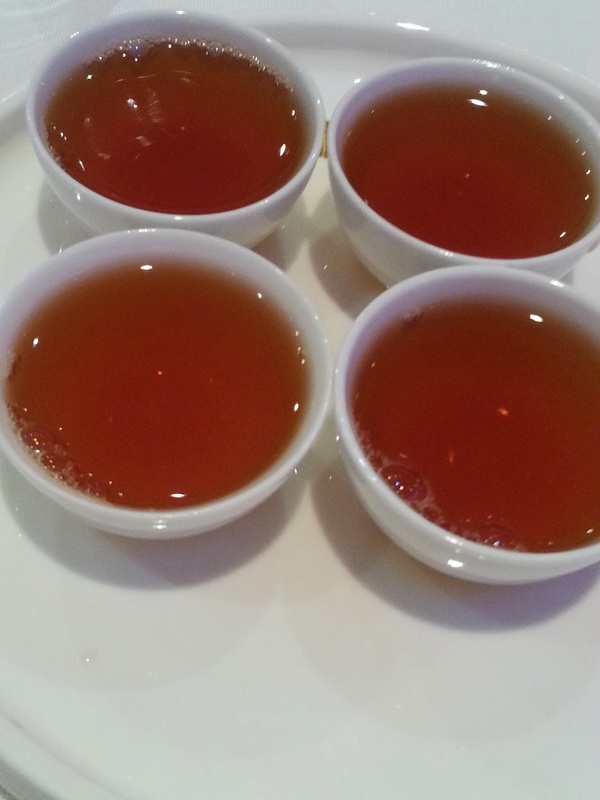 We were sat down by a friendly waitress followed by 4 cups of super thick and red tea known to cleanse your tummy so i guess it was for us to feel hungrier and thus prepare ourselves to eat more? First up was the Roast Pork Belly, only 15 bite-sized pieces but it was real solid. Every piece melts in your mouth while the crispy skin never fails to light up your eyes. Dip with some mustard and the fried chilli paste for some flavour, however if you choose to eat it on its own, the pork itself is marinated but not too salty like some places does it. At East Ocean, this is a perfect appetizer to kick start the meal. 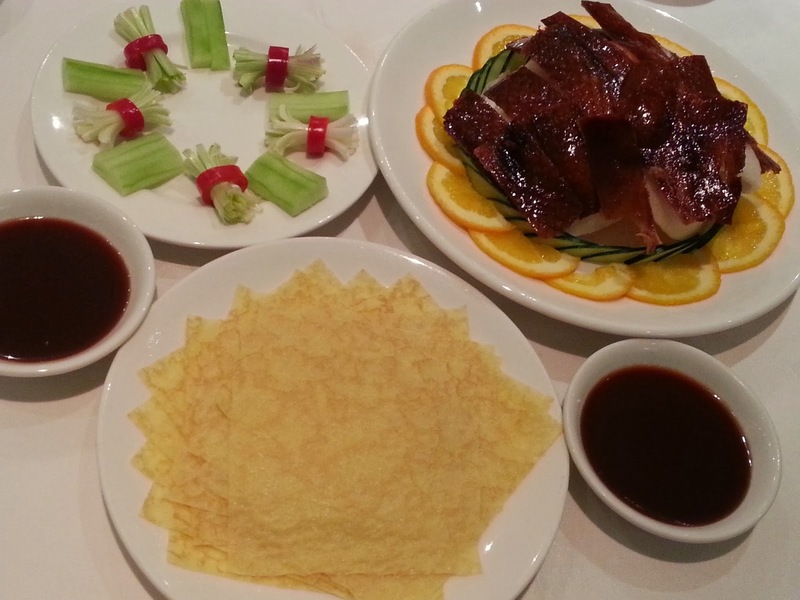 I almost did not realise this was just one part of the peking duck. The aesthetics was so pretty i almost cannot bear to eat it. It felt almost like a whole duck. 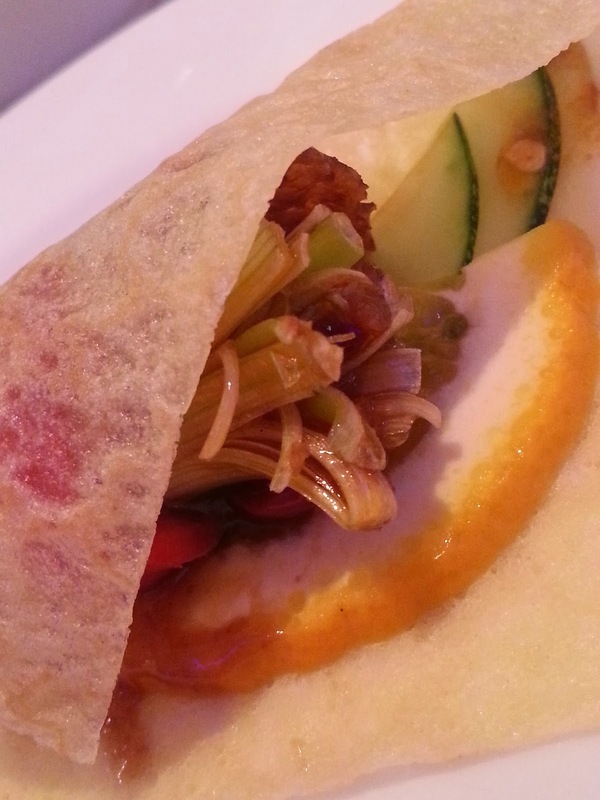 The skin was lightly crisped and eaten with the cucumber and thinly sliced orange wrapped with the warm crepe, i gobbled it down at one go. There's just one word to describe it - 'SHIOK'! Don't judge the book by its cover. 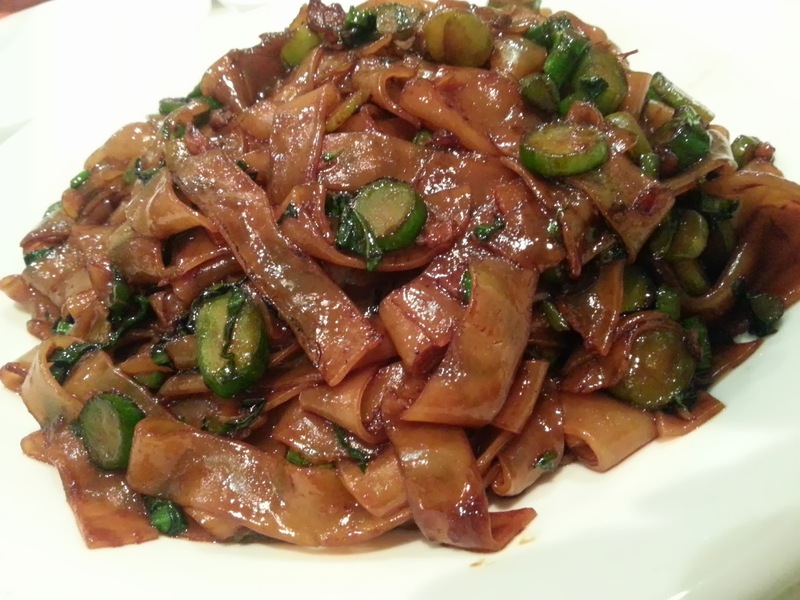 Same goes for this normal looking plate of Kuay Teow. Yes, it might look less appealing than your plate of hawker centre style fried kuay teow filled with cockles and fishcakes. This only has some Kai Lan but i gave it a thumbs up without hesitation. It was very fragrant and addictive, with a slight tinge of sweetness from the dark soy sauce. 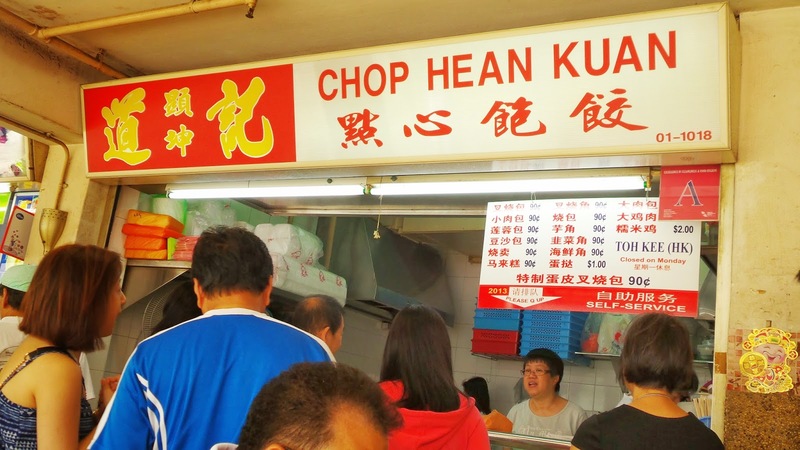 I enjoy it a lot because the kuay teow remained chewy and smooth at the same time. 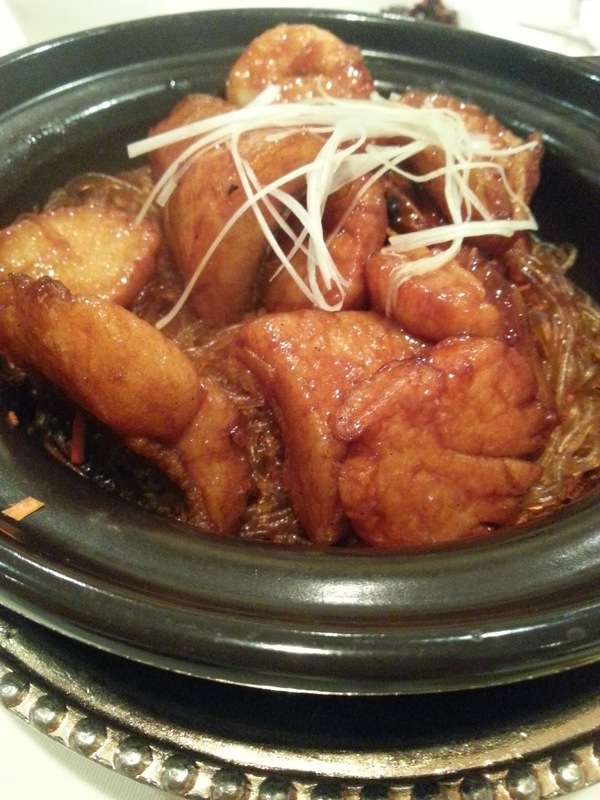 Another winning dish tonight goes to the Seafood with Vermicilli in claypot. 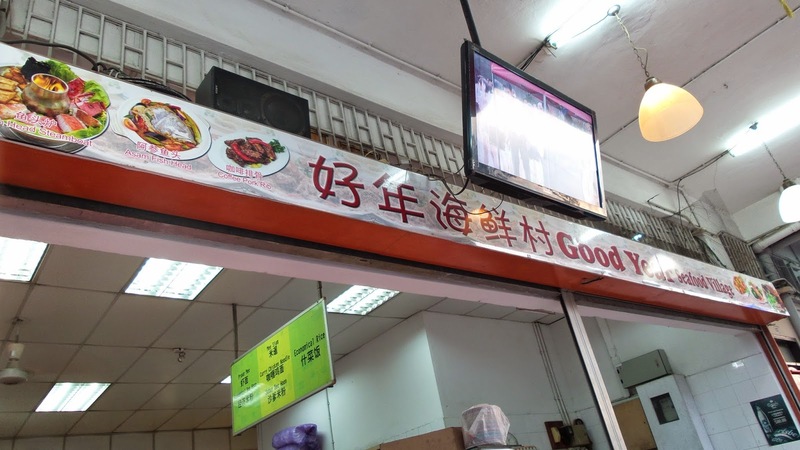 Eating with aunt and grandma was the best, we each had something that we love. Aunt loves her seafood especially prawns and squid while mama likes her fish and scallops, and me? The everything. Served in a claypot, the vermicilli was tongue-smacking. I could lick every bit of it from the bowl, it was that good. The seafood were fresh and generous in portion. Believed it was my first time to try a layered custard cake, or this is simply too good none others could fight. 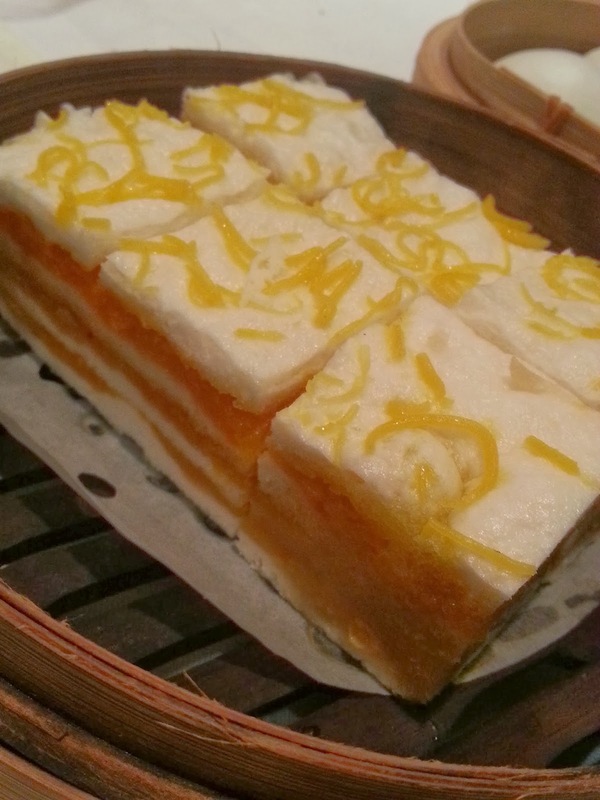 The cake had thick layers of sweet and salty custard which make it very moist and yummy. It feels like a chinese version of a layered kueh lapis, but this is so much better!! How could anyone leave a restaurant not trying the Liu Shao Bao if have! Gladly gobbled down 3 of it after the main dishes was simply divine. I have no regrets, so do you! I like it when the runny egg yolk custard is coarsely and rich in flavour. 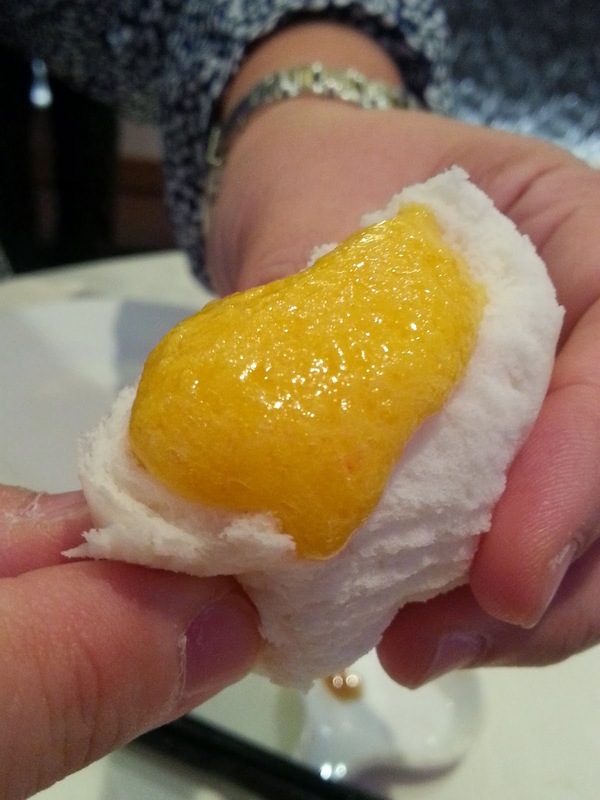 East Ocean does it pretty close to perfection, but would be nice if more yolk was used. Another thing to note is to eat this fresh and piping hot. This is when the sensation will be at its optimum. 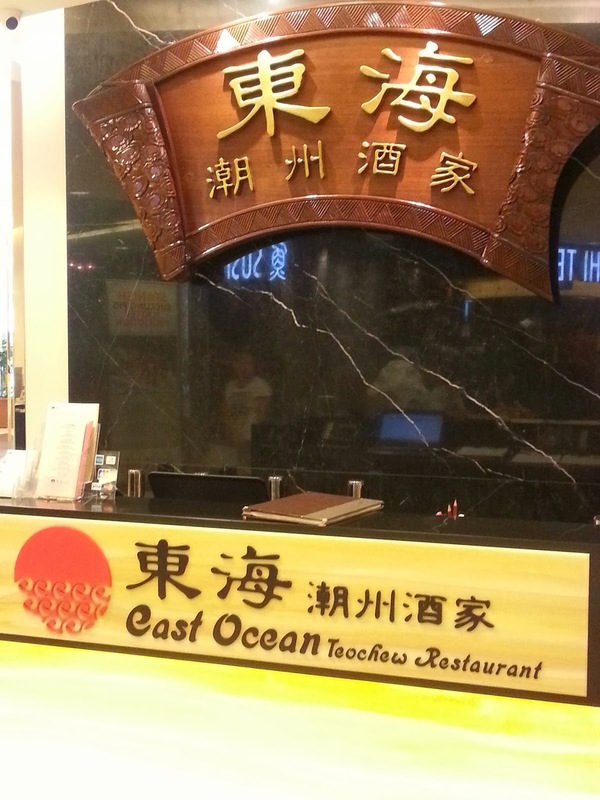 For the food and prompt service, i was glad the reviews did not deter me from persisting to eat at East Ocean Teochew Restaurant. Overall, we spent $132 for 3 pax which i think was reasonable because of the quality of the food we had.